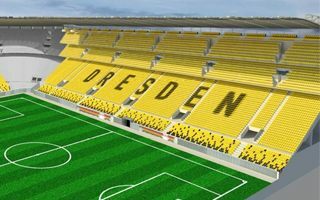 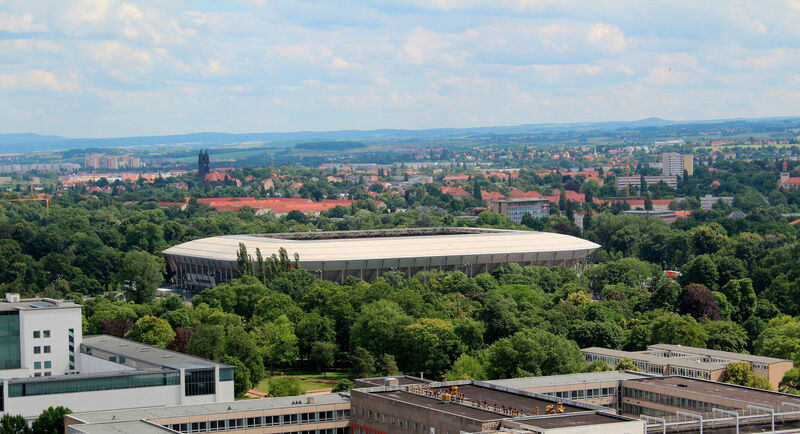 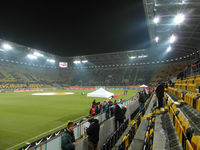 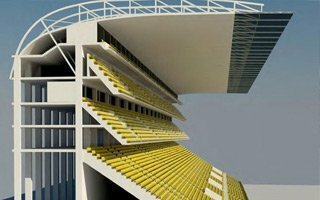 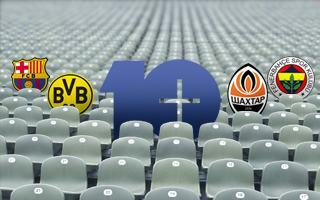 In 2006 Dresden municipality was approached by HBM, a BAM Sports subsidiary, with an offer of building a new stadium. 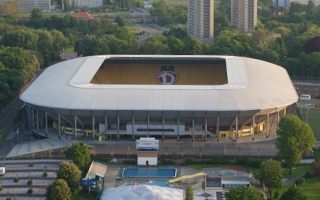 With all procedures in place demolition of the old athletic stadium began in November 2007. 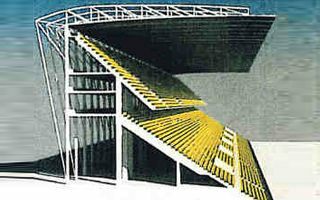 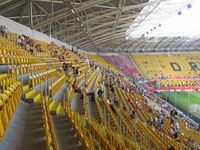 Construction of the football-specific stands was done in phases, with partial openings done before covering the audience. 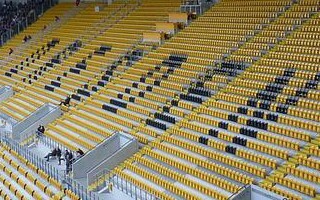 Thanks to the simple design by Bayer + Partner the whole process was done within 17 months and led to final opening in September 2009. 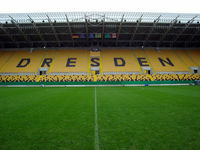 This way Dresden received a modern venue with steep stands for up to 32,000 people (including terraces), almost 1,200 business seats and 20 skyboxes. 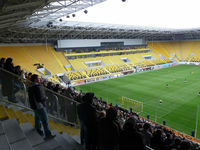 From the outside only eastern stand was equipped with office spaces, all hidden behind a 200-meter long glass cladding. 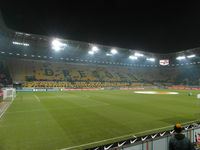 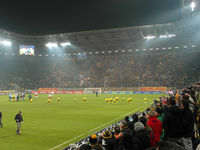 Initially the name was unchanged after the predecessor, but in 2010 a 5-year naming rights deal was signed with energy supplier Glücksgas. 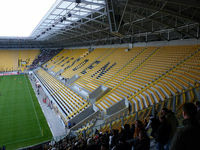 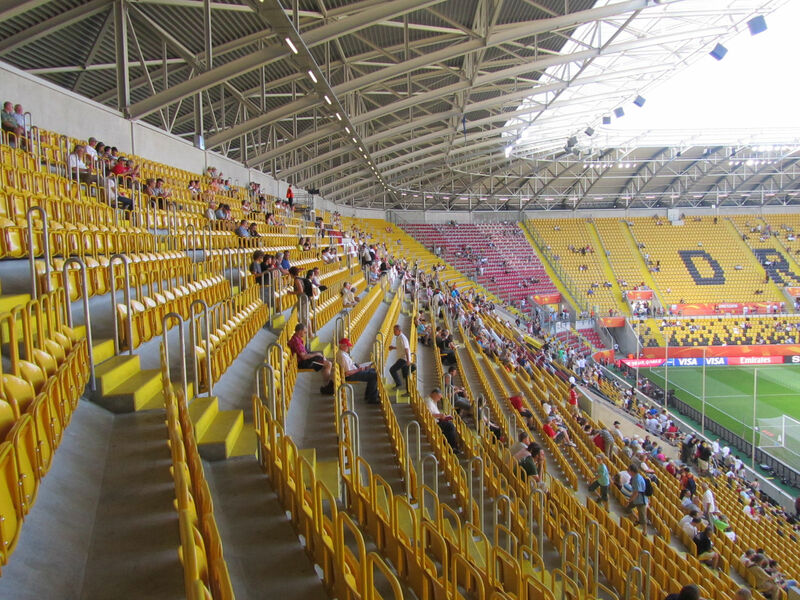 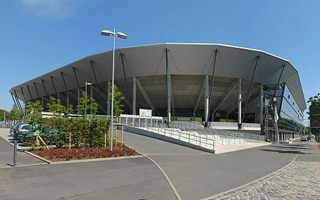 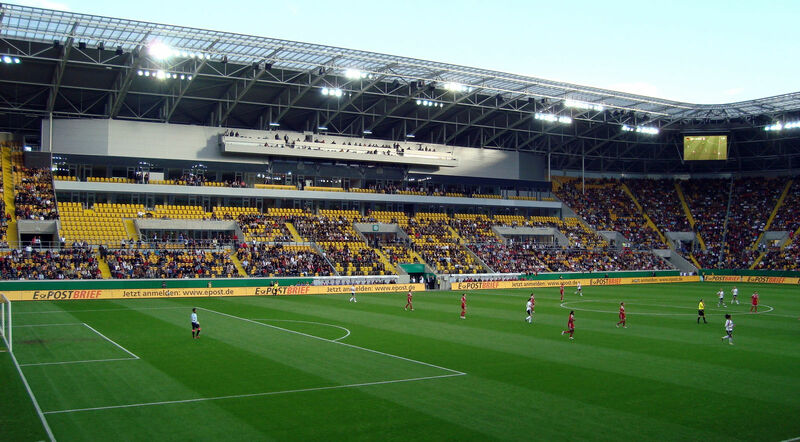 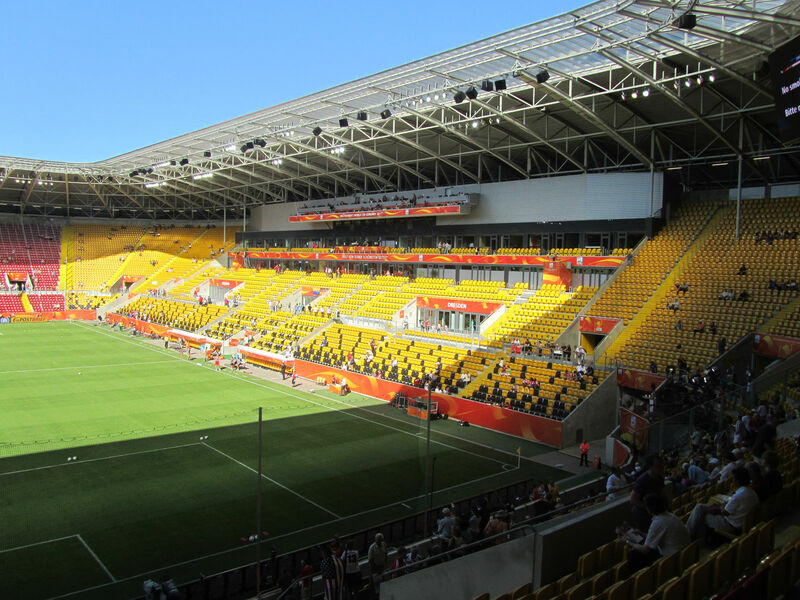 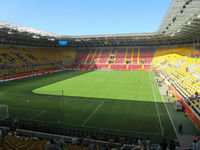 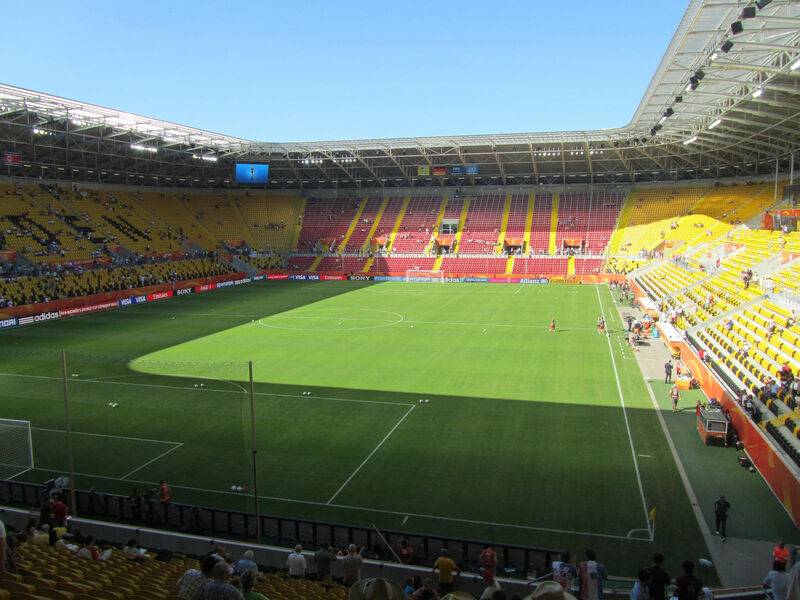 The historical patronage of Rudolf Harbig returned during 2011 Women’s World Cup, first large event at the stadium apart from Dynamo Dresden games. 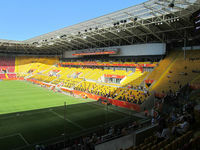 New naming rights sponsors agreed to rename the stadium along popular wish of supporters. 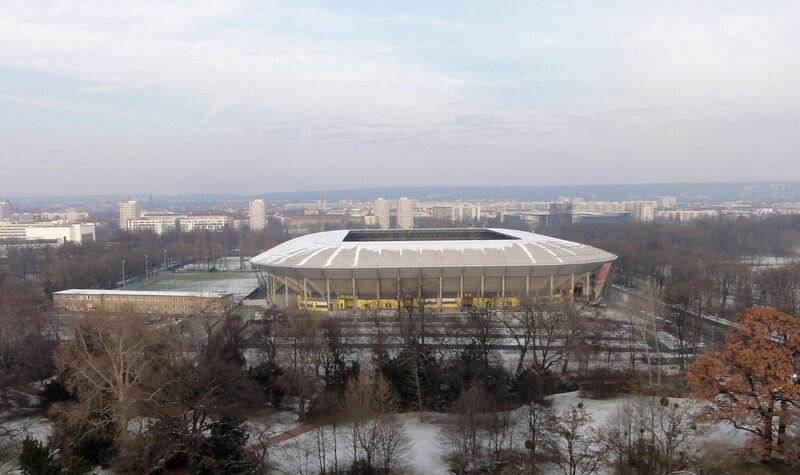 After public vote it was decided to return to the historical name of Rudolf-Harbig-Stadion. 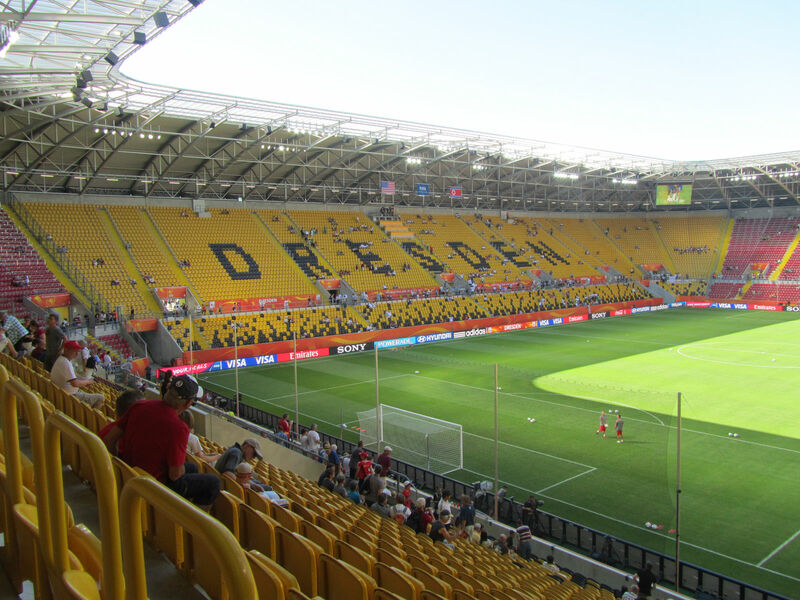 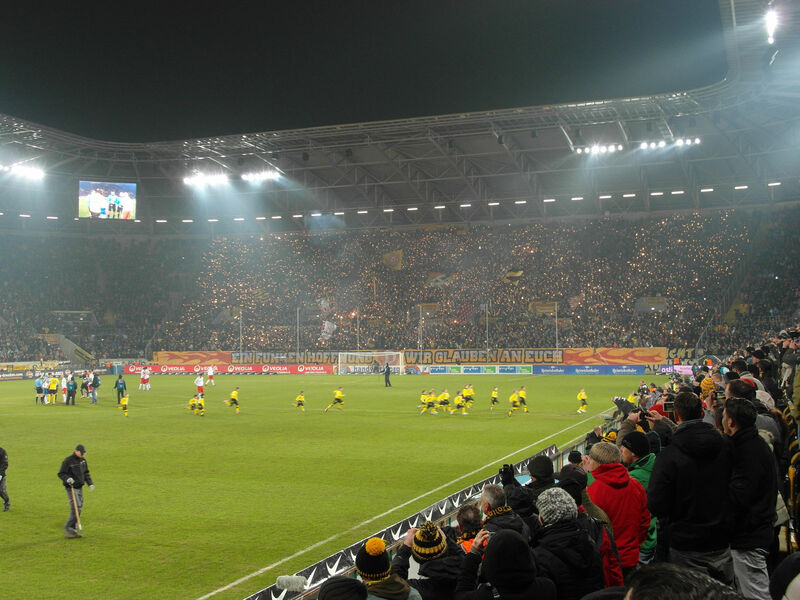 31.10.2015 Germany: All eyes on Dynamo Dresden, seriously! 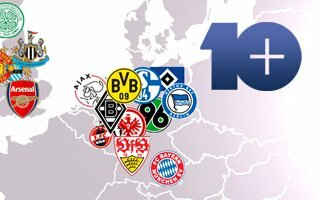 Third league? 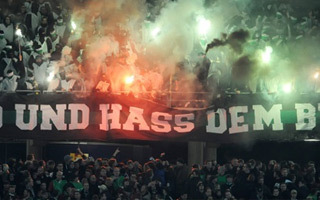 Maybe on the field, but not concerning their fans. 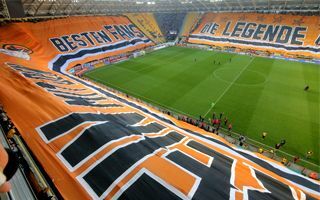 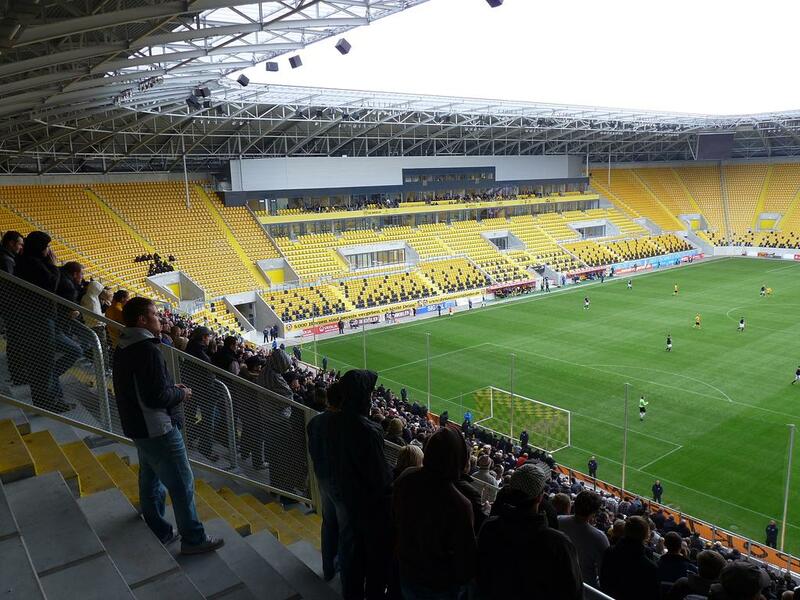 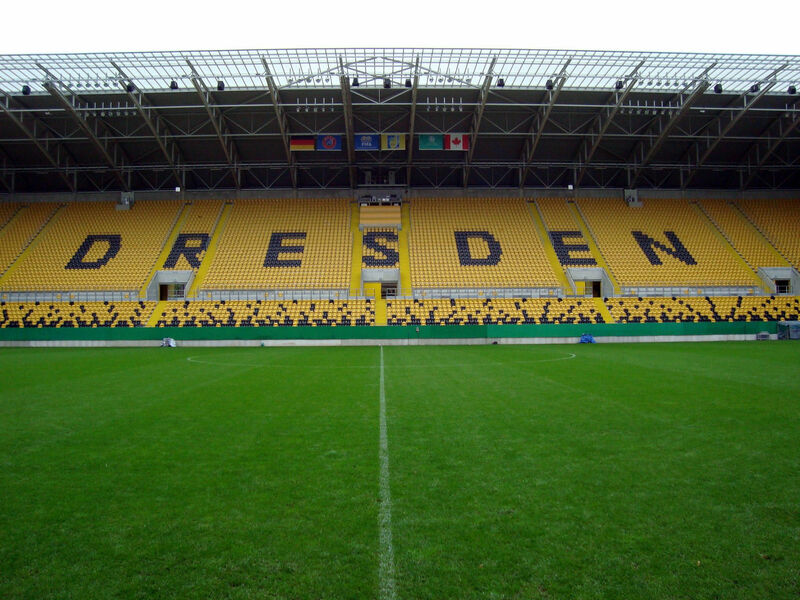 Dynamo Dresden have outdone themselves once more by presenting Europe’s largest stadium flag.